Designed by Davide Negri for LOVEThESIGN’s ThESIGN collection, the Rodolfo modular sofa comes in the new model with chaise longue. In its indoor and outdoor versions, its modules are then joined by a further element, which adds unprecedented range of furnishing possibilities. 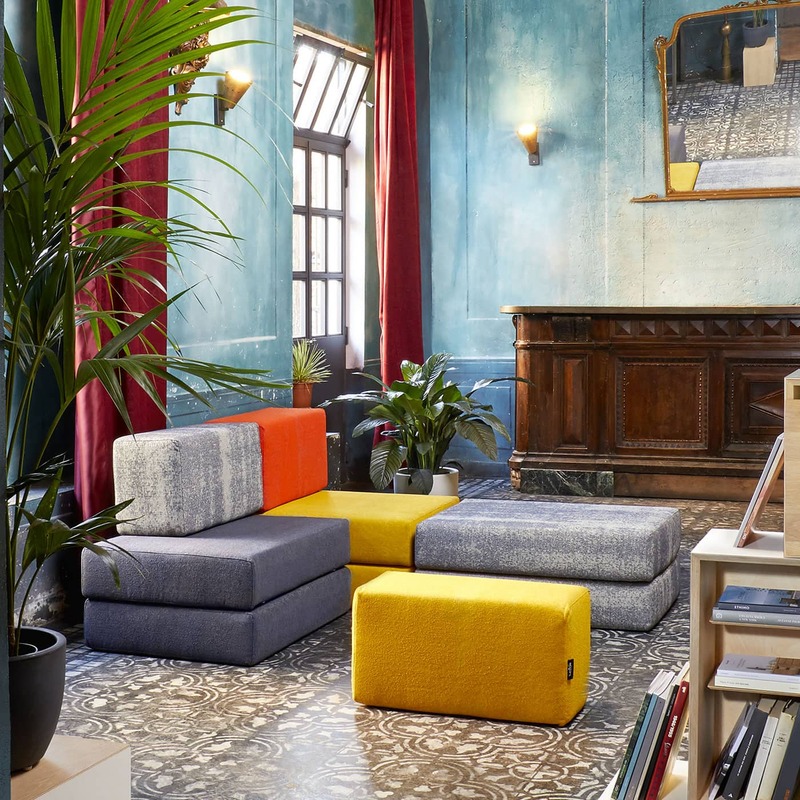 In Milan you can discover it and try it out in the permanent LOVEThESIGN’s exhibition corner inaugurated during the 2019 Fuorisalone within SANTASOFIA27, the multi-brand concept store for Italian design. Padding: crushproof HR polyurethane foam. Premium upholstery: 100% Trevira CS. 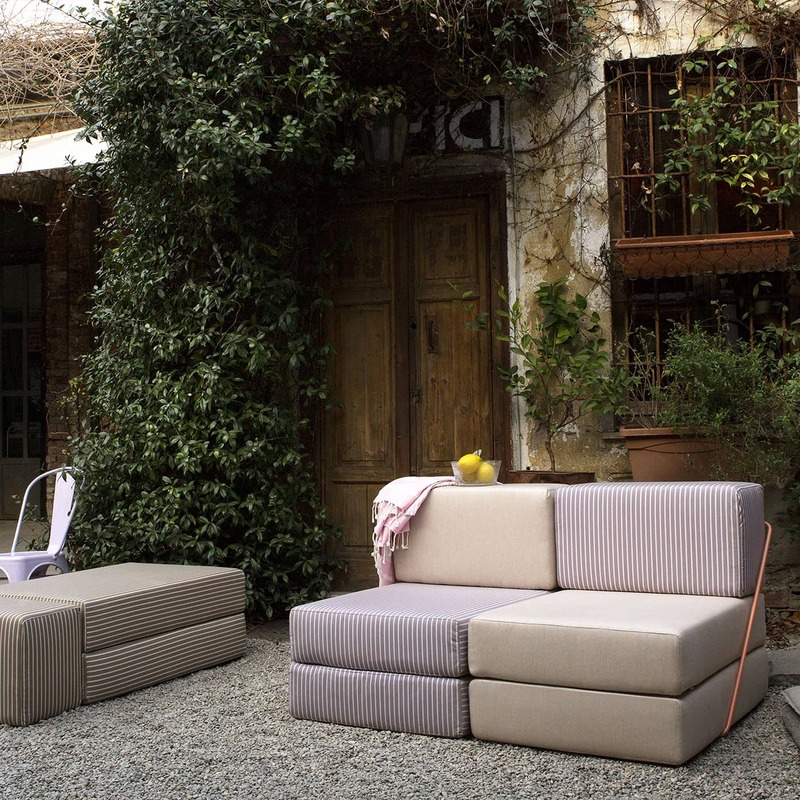 Outdoor upholstery: 100% mass-dyed acrylic, water-repellent, anti-mold and stain-resistant fabric. Standard steel rod: powder-coated steel. Outdoor steel rod: rust-proof treated iron featuring anti-scratch rubber pads. and is ready to furnish your small city balcony or your large terrace, veranda or garden, a house at the seaside or in the mountains. Right where friends and relatives often ask for hospitality, Rodolfo turns into extra beds or comfortable seats/loungers for sunbathing between a chat and a dip in the pool. 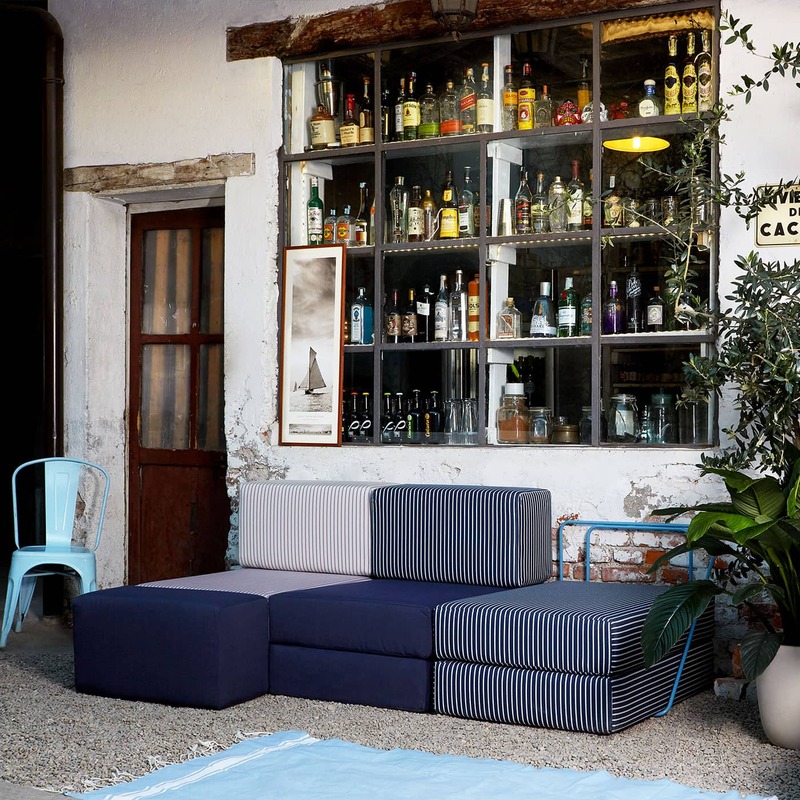 Rodolfo outdoor materials are designed and specifically treated for outdoor use: no water splash and no strong sun exposure will ruin or fade its bright upholstery. Anticipate the summer: your holiday starts when you get comfortable on Rodolfo. Rodolfo and Kvadrat: the exclusive capsule collection for Thesign. Stemming from the collaboration with the Danish fabric brand Kvadrat is the premium line of Rodolfo upholstery: the worn look texture and marl colours enhance the essential lines of the seats. 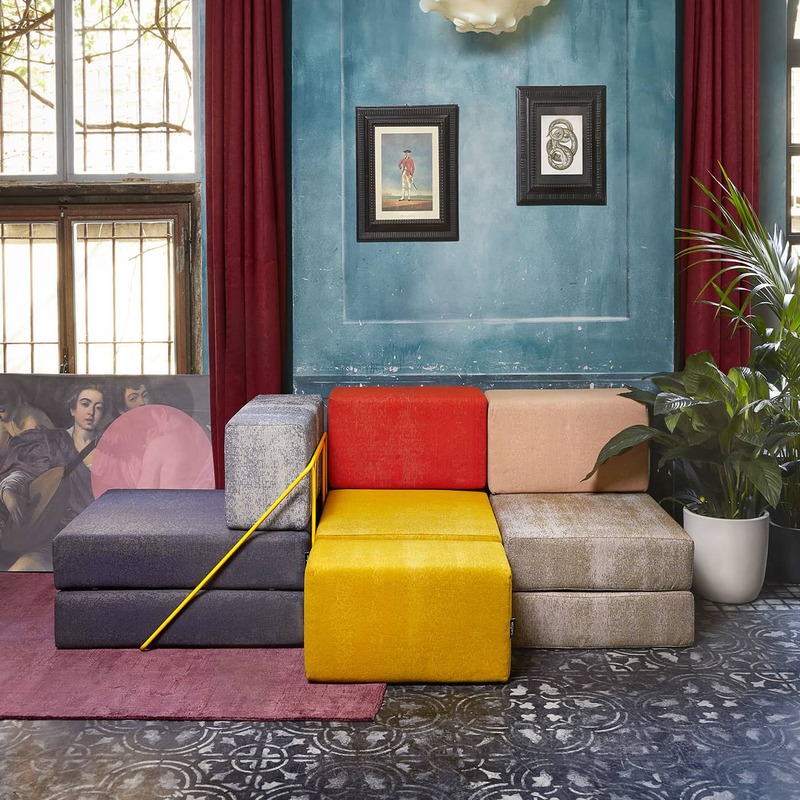 The Danish innovation meets the Mediterranean style of Patricia Urquiola. 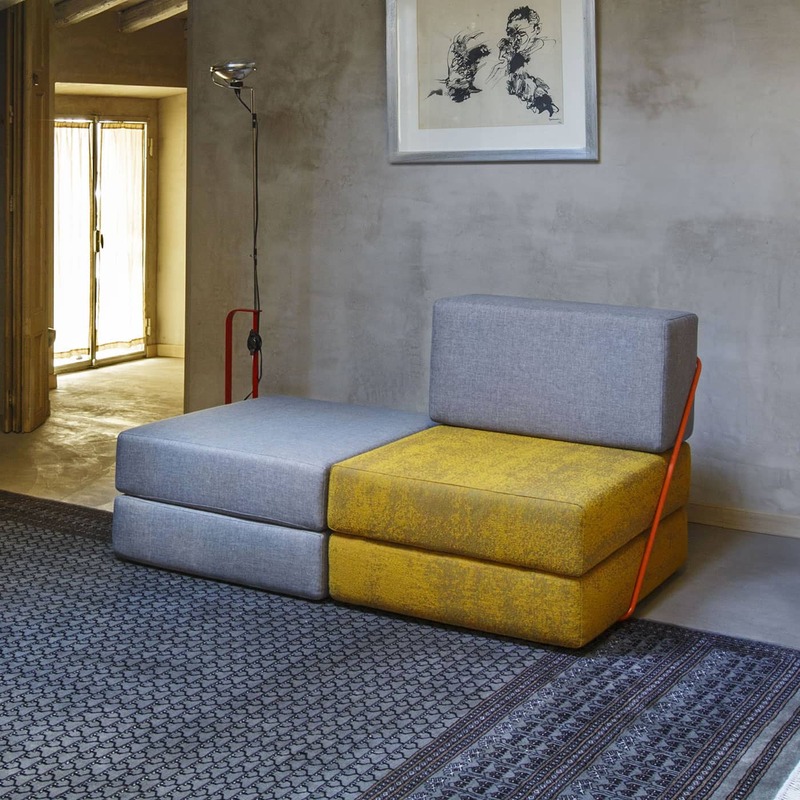 Rodolfo's Kvadrat fabrics belong to the Memory range, a line drawn by Spanish designer Patricia Urquiola. Sophisticated colours and abstract patterns which, working on the texture's depth and volume, create an irregular, unique, vintage and modern tactile experience. 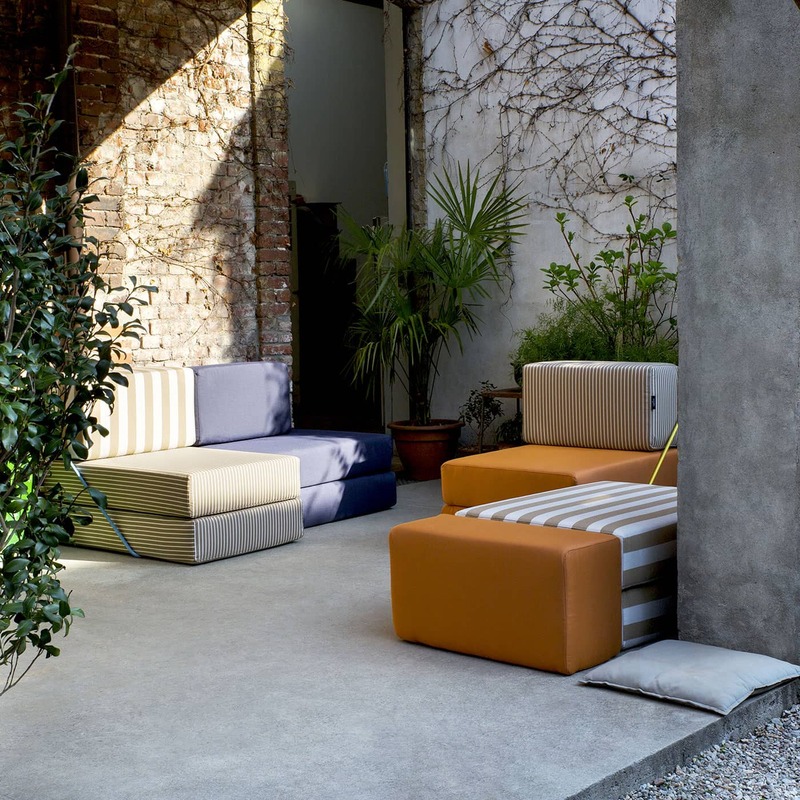 Shop the standard line modules: customise the colours and seats for your Rodolfo sofa. Shop the premium selection of upholstery: choose an exclusive experience for your Rodolfo sofa. Shop the outdoor modules: bring your home's style even in your outdoor environments. Standard line: crushproof HR polyurethane foam padding, 100% polyester upholstery. Premium Kvadrat Line: crushproof HR polyurethane foam padding, Kvadrat fabric by Patricia Urquiola, 100% Trevira CS. Outdoor Line: crushproof HR polyurethane foam padding, 100% mass-dyed acrylic, water-repellent (it resists a water column of 150 mm), anti-mold and stain-resistant fabric. The padding is completely removable thanks to the zip closure on the bottom, and can be machine washed at 30° and ironed at low temperatures. Bleach is not advised. The painted steel rod frame can be cleaned with a moist cloth. Rodolfo consists of six modules that can be combined at will: a steel rod frame, an ottoman/backrest, a seat that is also available in an openable version that turns into bed and a chaise longue, also available in an openable version. 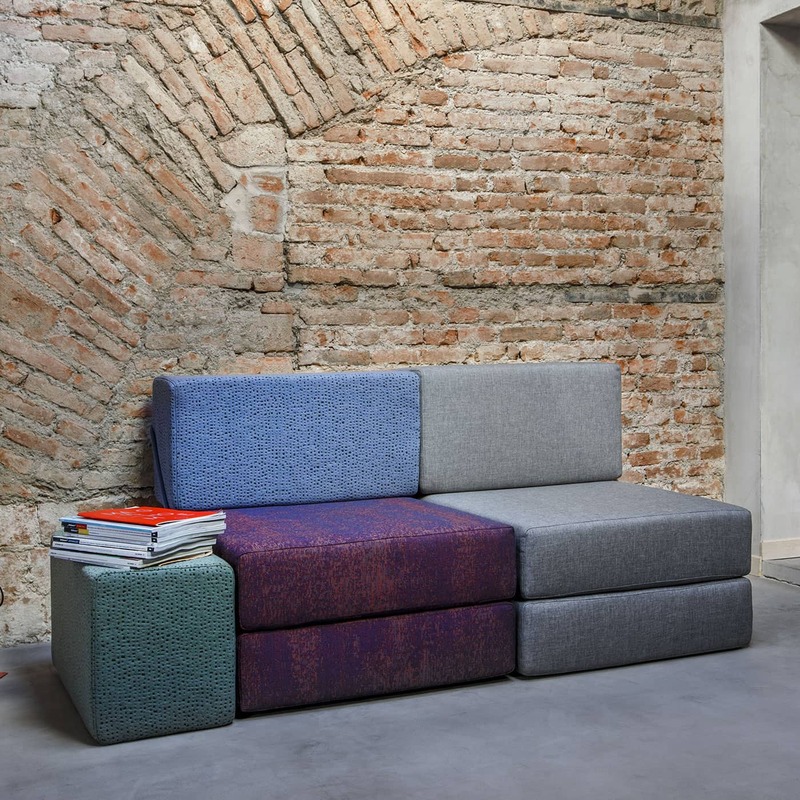 For indoor ottomans and seats, you can choose between two upholstery fabric selections (Standard and Premium Kvadrat). 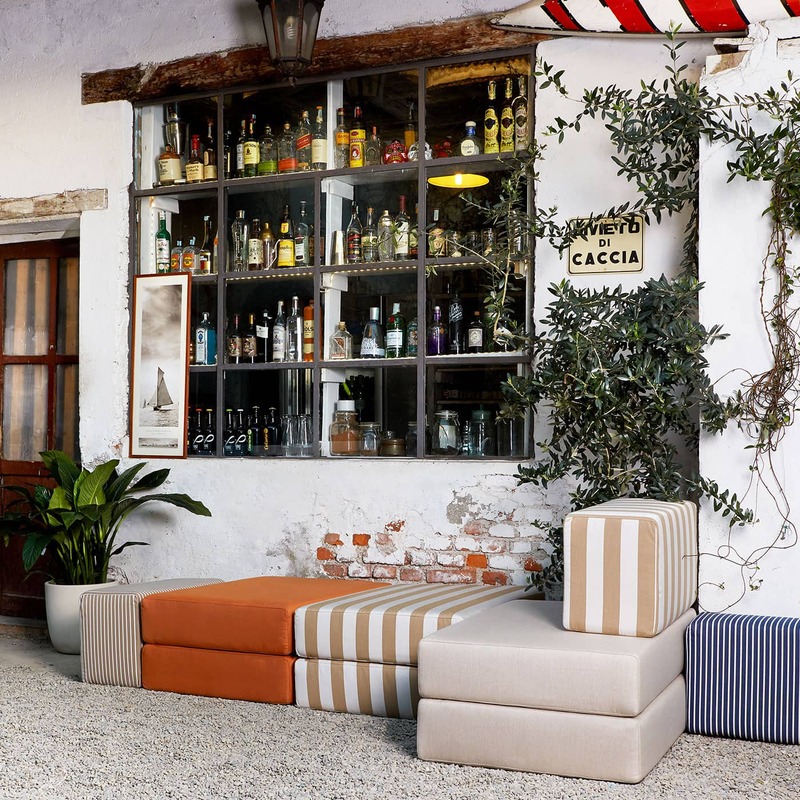 For outdoor environments, an outdoor fabric and material line is available. A bigger house (or smaller), a growing family, friends that come over to watch the game or final episode of your favourite show. Rodolfo turns into whatever sort of sofa your life calls for.